Setting up my lighting ready for lps corals. Can anyone give me advice on my schedule and light settings. This is what I have done with the research I have read. Any opinions? The coral need to get use to the intensity, and most of the time LED’s don’t need to run at full intensity. How close is the fixture to the water line? It’s sits on my tank with brackets so it’s basically 10cm from the water. Thanks for the info I modified them down before you wrote this and coral seem to be doing a lot better. Should I run my blue overnight? That’s a bit close to the water line, you might have issues with hot spots, you’ll know if you see any coral bleaching. My fixture is hung about 15” above the tank, and I’m running 10% white, red, green, and 50% blues and purple. I set it and left it at that, it took my coral several months to acclimate to the change in fixtures, but it turned out well. 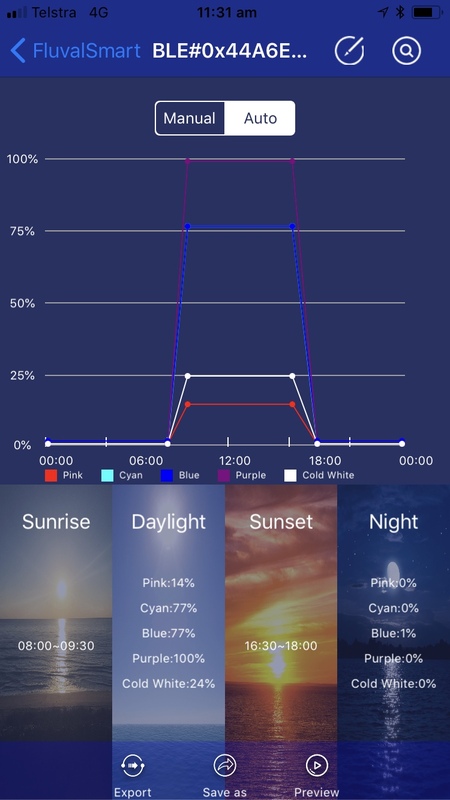 I run my blue 1% at night, and completely off between 6-10am. Yeah it’s the design the light comes I can get a hanging kit but it’s sold separately (might do this in the near future). I set the lights to lower settings like your advice just before I put the corals in. It’s now day 2 and they seem to be doing well. You shouldn’t have to run that fixture at full intensity, unless your going sps. you’ll be fine at 40-50 on the blues. Soft coral will grow great at moderate intensity. Good luck, and keep updating your progress. Yeah I can now see that. 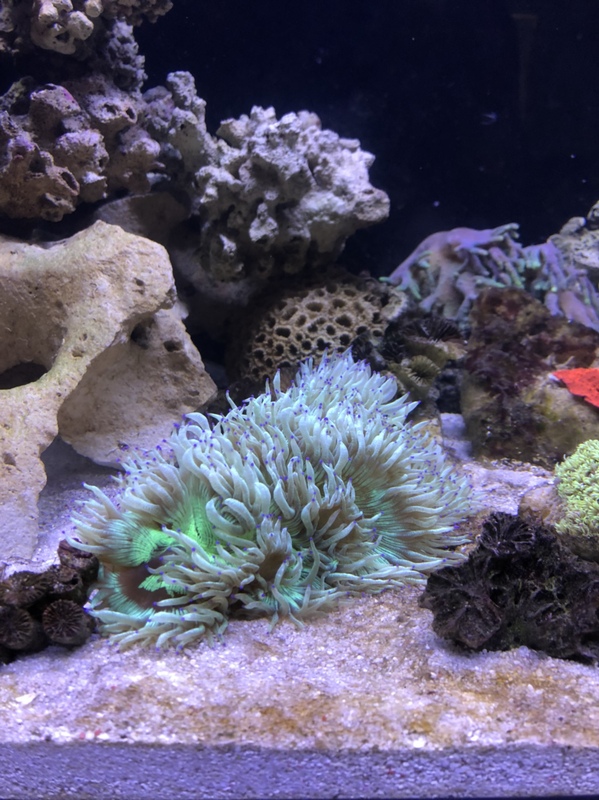 40% is what I’m going to keep it at as the corals seem to like that and are expanding more and more. Thank you for your advice it helped me out a lot.